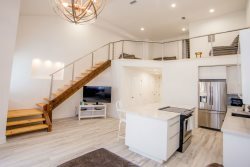 Beach Life Rentals (904-584-7368), located in Jacksonville Beach (http://www.beachliferentals.com) can provide just about any leisure item you may want at a very reasonable price. They also deliver and pick up for your convenience. Mention Lifestyles Realty Web when you call you to receive a 10% discount!